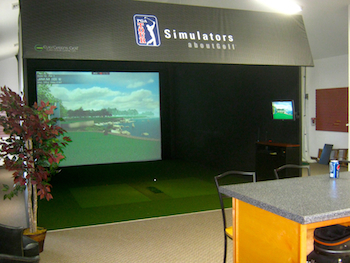 AboutGolf Simulators are the best in the marketplace. Used exclusively by the PGA Tour and The Golf Channel. • ONE PRICE FOR ANY NUMBER OF PEOPLE! Ask about corporate meetings and private events! 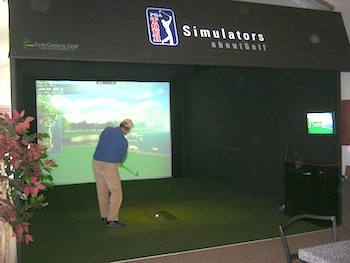 Must contact JAY at snjnom@comcast.net or 413-561-2360 to schedule simulator tee times when pre-paying. Save money on simulator time by purchasing 10 sessions at once for $380. You can purchase this option on the website homepage. After paying for the 10 sessions, contact Jay at snjnom@comcast.net or 413-561-2360 to schedule your tee times.